Two dozen nations, including Canada, the U.S. and some of Latin America's biggest countries, have recognized Guaido as Venezuela's interim president, while China and Russia are backing Maduro. U.S. national security adviser John Bolton issued a warning to the Maduro government earlier in the day urging them not to harm Guaido, who has been recognized by the Trump administration and two dozen other nations as Venezuela's rightful president. 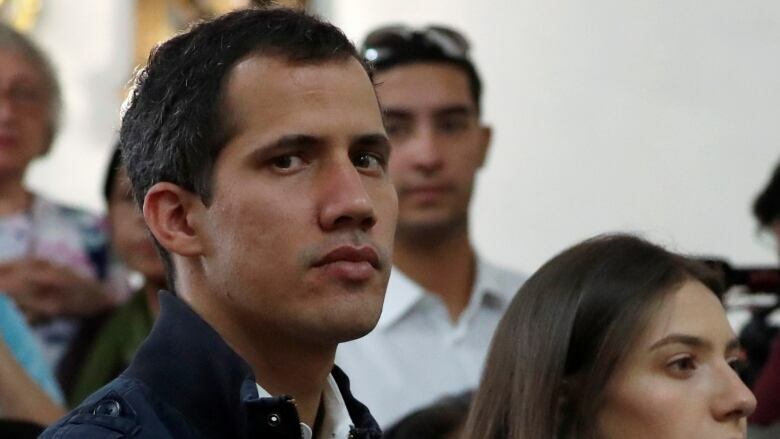 The order preventing Guaido from leaving comes as tensions between the U.S. and Venezuela reach a new high, with Maduro accusing the Trump administration of staging a coup against his presidency and Guaido seeking to consolidate an interim government under his own leadership. 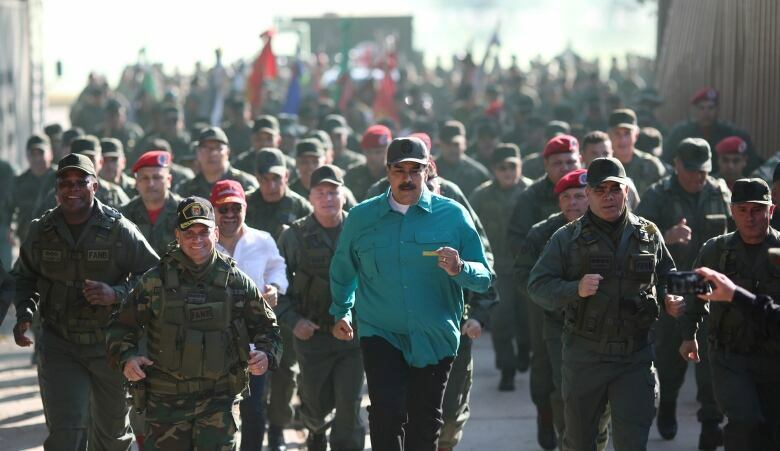 Maduro went on state television Tuesday to announce that he was beefing up the nation's defense by expanding Venezuela's civilian armed militia to two million members. The reserve force was created by the late Hugo Chavez to train civilians to assist the armed forces and defend the socialist revolution from attacks. Kremlin spokesman Dmitry Peskov said Moscow shares the view of the Venezuelan government that the U.S. sanctions are "illegal" and sees them as a tool of unfair competition by the United States.